A tagline or slogan is a crucial communication tool for any political party during their election campaigns. The slogan helps the leaders to communicate the party’s vision and mission for the country to the voters. 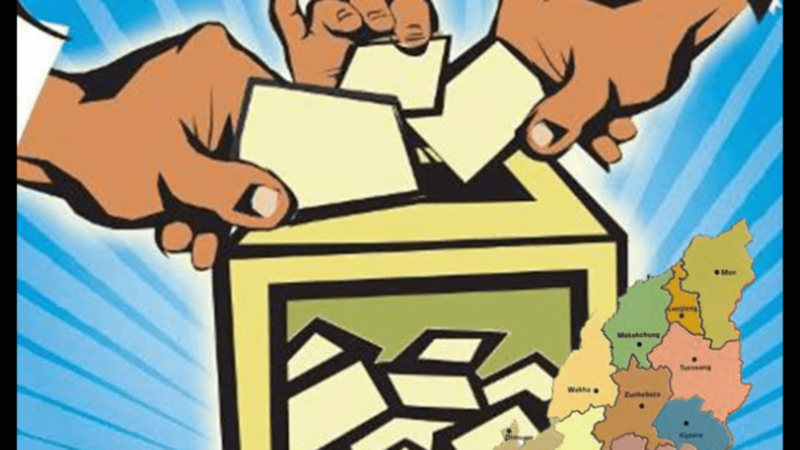 Elections called the carnival of democracy as well, are also the time when we get to witness some ‘blockbuster’ slogans and one-liners. History is witness to the fact that how these slogans can either make or break a party’s reputation. The most recent example is of “Abki Baar Modi Sarkar” which many came to apprehend the main reason why BJP literally swept the polls. 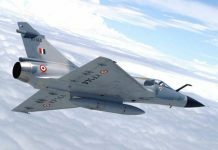 On Sunday, September 9, we finally saw the Bhartiya Janta Party setting the mood for the party’s campaign ( on the 2014 pattern) at the party’s national executive meeting in New Delhi, with the slogan, “Ajay Bharat, Atal Bharat”. So what is our prime minister trying to point at? will this slogan be able to recreate the 2014 wave? How much really important are these one-liners? Let’s try to decode Atal bharat Ajay BJP and its role in 2019 elections. 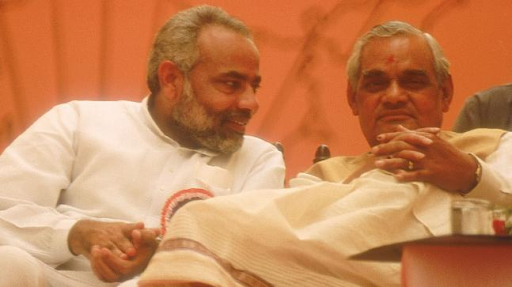 Atal Behari Vajpayee was a veteran pro-Hindu leader was considered as a father figure by many current BJP leaders, including Narendra Modi himself. Vajpayee passed away on 16 August, 2018 and the nation came together forgetting all political and ideological contentions to pay their tributes to the great politician. Congress president Rahul Gandhi condoled the demise of Vajpayee, calling the BJP leader as India’s great son. 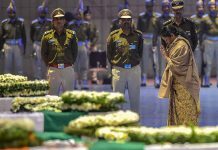 However, BJP through this gesture not only wants to give a rich tribute Vajpayee, they are also trying to highlight the party’s commitment to its core values inspired from Vajpayee’s style of politics, in the country’s progress and forward march . Although considered a pragmatist, Vajpayee assumed a defiant posture in the face of Western criticism of India’s testing of several nuclear weapons in 1998. In 2000 his government began an extensive program of divestment of public funds from several key state-run industries. 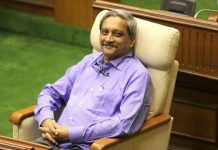 Under his leadership, India achieved steady economic growth, and the country became a world leader in information technology. 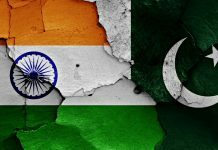 He had earlier been praised for his conciliatory gestures toward India’s Muslim minority and India’s long-running feud with Pakistan over the Kashmir region. BJP in a way reaffirms that their actions will be strongly influenced by those of Vajpayee’s, in order to make the party and the nation a strong and invincible one. It was indeed, Vajpayee’s brutally honest and raw style that had ultimately marked BJP’s actual rise to power. After all, BJP might be fishing there for some sympathy votes as well, you never know. Another thing which makes BJP the choice of the nation is the inefficiency of the opposition. Modi went on to say that, “People who do not see eye to eye are thinking of a grand alliance. It is a vindication of our work.” When there is no unity even on Rahul Gandhi’s leadership, how can there be any consensus on policies and strategies. 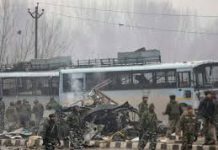 BJP alleges that the various parties constituent of the opposition in the parliament are far from cohesive and aren’t even in a position to dispose off the work of the opposition, let alone running the government. 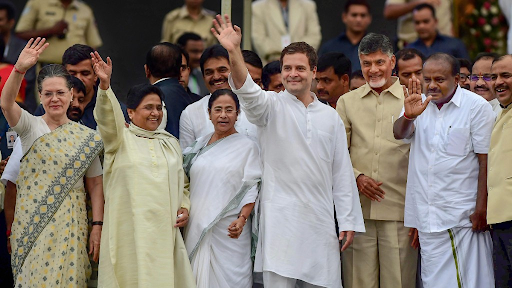 “Mahagatbandhan” of the opposition parties is more like a myth i.e.only to be seen on paper and baseless speeches, never to be translated in de facto. Here BJP is not only taking a dig at the overambitious plans of the opposition but also reiterated the confidence they about their success in the 2019 polls. Modi in his speech further remarked that BJP’s 48 months in power are better than the Congress’s 48 years in power. He emphasised on the importance of principles and strategies in their actions. While strategies change with time, principles remain sacred and constant. 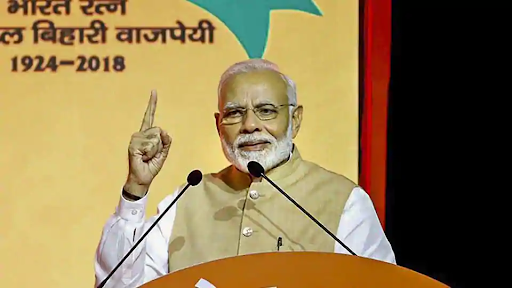 Stating an example the PM said that the government has lived up to their principle of “sabka saath sabka vikas” by adopting policies with an inclusive character sans consideration of any caste, region or religion. However, it is ultimately the electorate that will judge the validity of these claims and that will show in the results of 2019 polls as well. By this time you must have realised the there is no point in underestimating the power of one-liner. Elections are without a doubt the showtime in Indian politics for creative campaigns, verbal warfare and yes, the all important catchy ‘one-liners’. Shastri became the first leader to use such slogans while addressing the public. His slogan “Jai Jawaan Jai Kisaan”, successfully drew national attention and sympathy as the nation struggled to overcome the economic consequences of war with Pakistan and the issue of food security. However, It is during Indira Gandhi’s terms in power,that we come across some of the most creative, catchy, fascinating and hilarious slogans and one-liners. However unlike Shastri’s, Mrs. Gandhi used slogans mainly for the purpose of mobilising supporters and convincing voters during election campaigns. Slogans like “ek sherni sau langur, chikmaglur bhai chickmanlur” and “Indira is India, India is Indira” show that they were hardly ever based on the prevailing social or economic circumstances and mostly focussed on Indira Gandhi’s personal abilities and prowess as a leader. The response of the opposition was quick but not that creative- “Indira hatao, desh bachao”. Political analysts say that a major reason why Congress under Indira was almost always successful because the opposition lacked a positive and effective slogan. 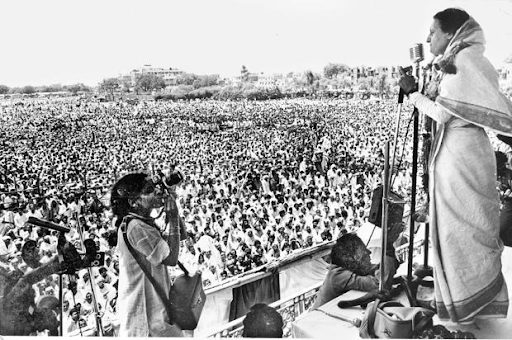 While Indira with “garibi hatao” appeared to be ‘pro-people’, the opposition unintentionally portrayed itself as ‘anti-indira’. Talking about slogans and one liners, how can the quick witted Atal Bihari Vajpayee be left behind. The slogan “Bari bari sabki bari, abki bari Atal bihari” was coined at a Lucknow political rally in 1996, the slogan was used by the BJP to project Atal Bihari Vajpayee as the next prime minister. In it the party succeeded though for a very short term. Vajpayee was PM for only 13 days in 1996. However, it got re elected to the office of PM in 1999 and then he complete his full term. It was sort of BJP’s first experience with one liners in campaigns, there was no stopping now. “Abki baar Modi Sarkar” which feels like it was inspired the Vajpayee’s took the nation by storm in 2014. Be it villages, towns or cities, all were buzzing with the slogan which confirmed NDA’s historic victory at the Centre. The young and energetic AAP went a step ahead with quirky campaigning. 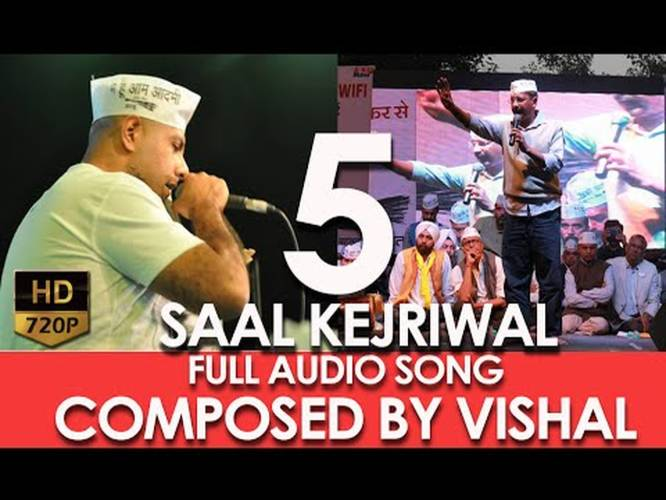 The “paanch saal Kejriwal” song was composed by Vishal Dadlani which many also regard as a major contributor towards Arvind Kejriwal’s landslide victory in the 2015 Delhi Assembly elections. A similar thing was attempted by INLD in Haryana assembly elections when they roped in Honey Singh for “tau ki party ka yo ganaa charo or bajega… billu ki jeet pe haryana bhi nachega” song. Though “Party songs” are ‘in’ cause they make people’s feet tap, however, they are no competition to the good old, classic slogans. Will BJP win the election with Atal Bharat Ajay BJP? While the slogan “atal bharat ajay bjp” is certainly positive and also effectively communicates the party’s ideology as well as strength. It seemingly hits the right note for starting off with campaigning. While understanding the role played by taglines and slogans in campaigns, it is also important to keep in mind that electoral success of a party or a candidate is not solely dependent on a catchy slogan or a quirky song. It is ultimately the people who ultimately decide the credibility of these claims. 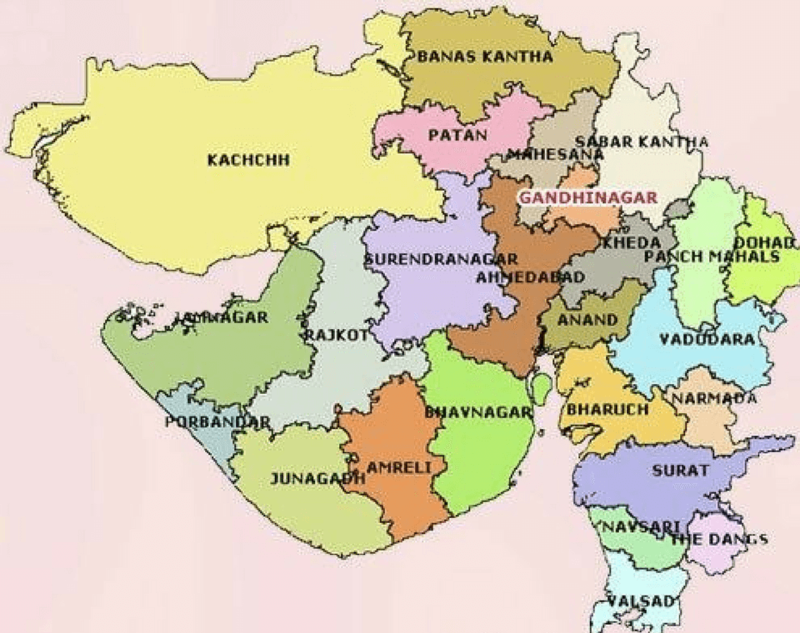 Previous articleDoes India need a Presidential form of Government?